We are an egg loving family. My husband likes traditional scrambled eggs, I like my eggs over easy and the boys like fried eggs and hard boiled eggs. Eggs are packed with protein, antioxidants and Omega fats and really are a great way to start your day. Eggs tend to get a bad rap so I encourage you to read about why eggs are actually healthy. 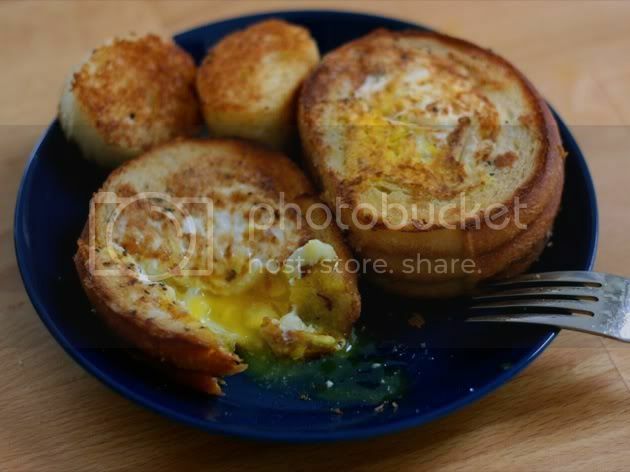 While passing time with StumbleUpon the other night I came across this eggs in a basket recipe that just looks so delicious. It got me to thinking that we only eat our eggs in the same old boring ways and trying something a little different one weekend would be fun. 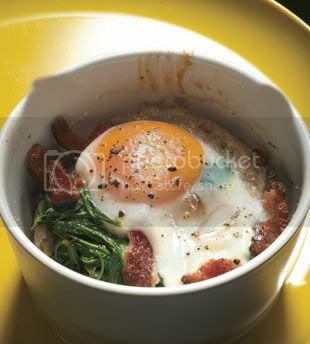 Here are some really good looking breakfast egg recipes I have found. So what is your favorite way to cook eggs for breakfast? Do you cook them in the more traditional ways like myself or do you go all out and do something more "fancy" like the above recipes? I like em over medium. 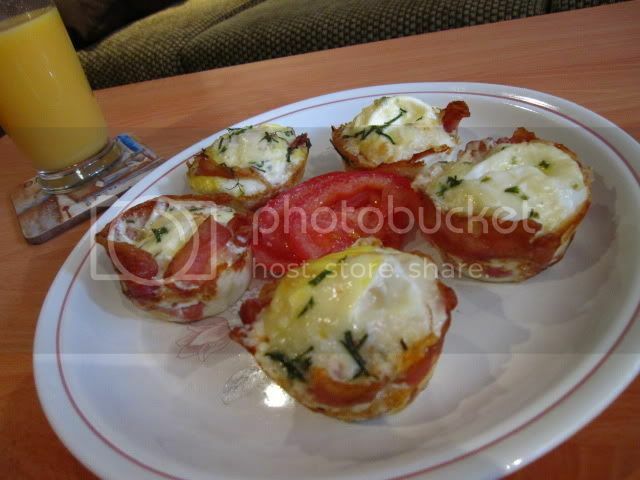 Bacon wrapped eggs, that sounds good! I don't like eggs much, but I have to admit that they're really quite beautiful in those dishes. I just like eggs - I'll eat them pretty much any way except raw. And I love deviled eggs! I love eggs anyway but omelets are my fav! Filled with cheese, onions, peppers and ham! 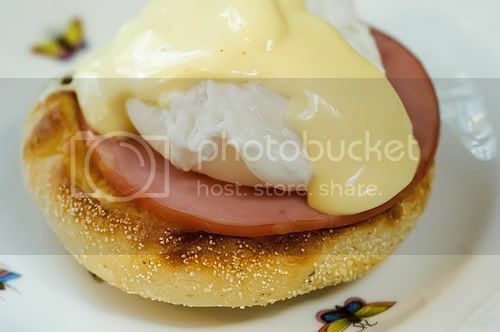 I have done eggs in a basket but I call it eggs in a frame. I love cheese omelets the best! 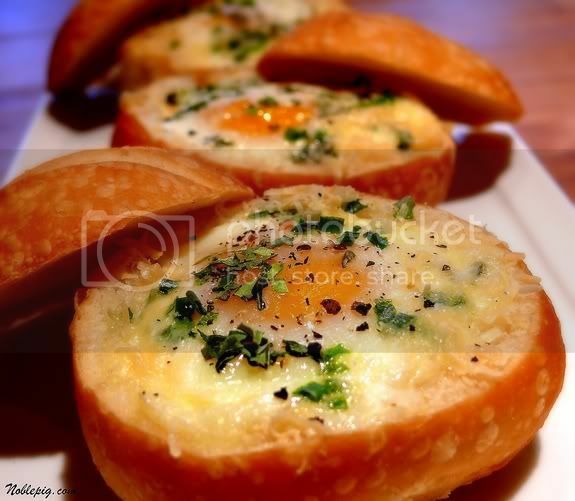 I have to admit the eggs in the bread bowl look pretty amazing though! Ok -- so I like eggs. Scrambled or fried . . . UNTIL I think about what eggs are. Then, I can't eat anymore.